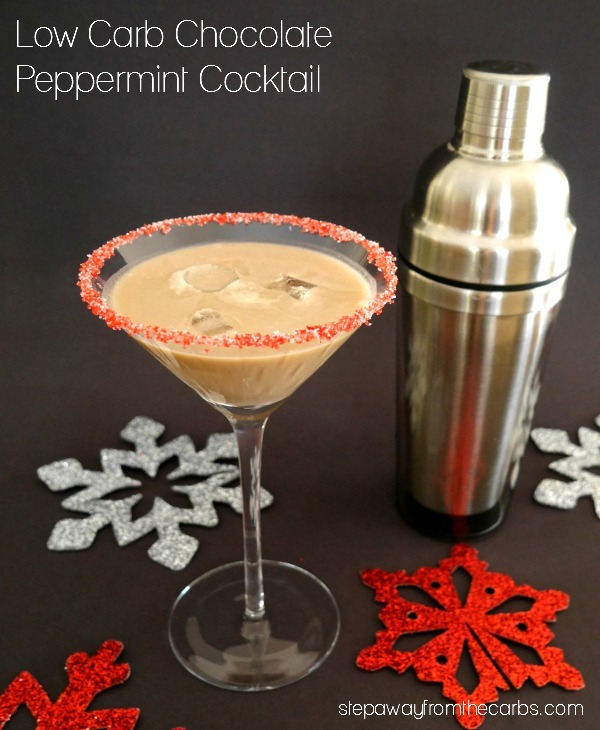 This chocolate peppermint cocktail is low carb and is the perfect drink for the holiday season! 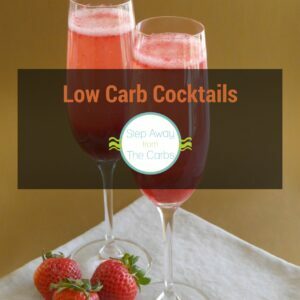 Can’t decide between a dessert and a cocktail? Then this is the solution. 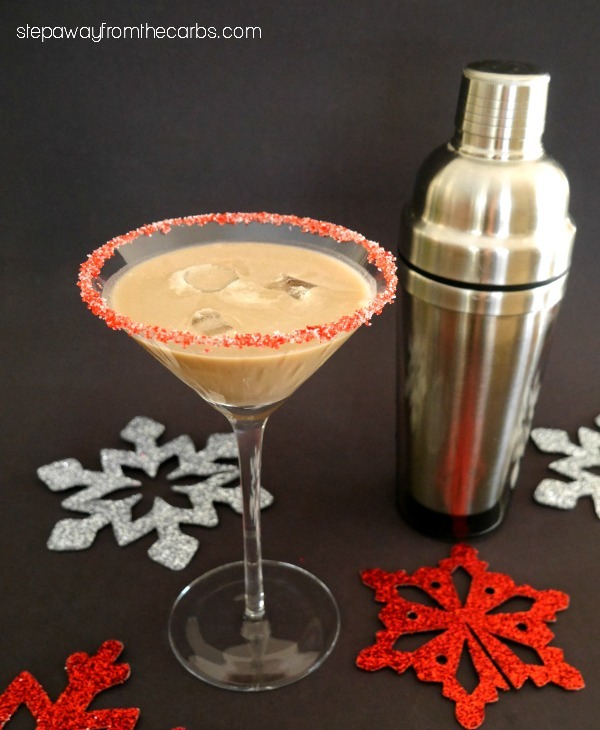 Because it IS a sweet cocktail – but sometimes that’s just what you need! 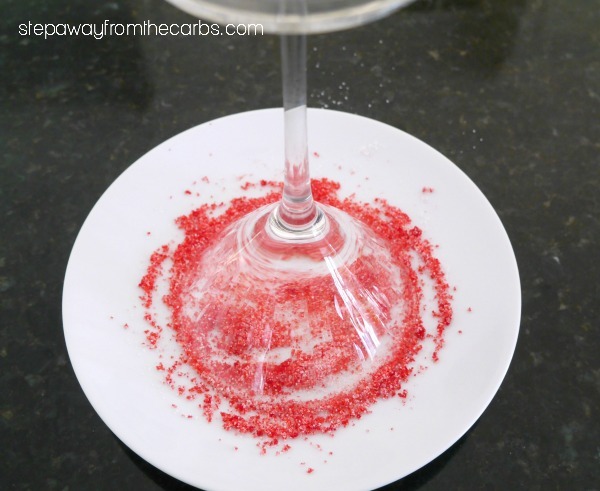 To prepare the glass, add some Swerve (granulated) to a plate and mix in some red food dye. Squirt the tiniest dab of honey or corn syrup onto a paper towel and then wipe it around the rim of the glass. Then dip it into the dyed sweetener. 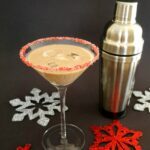 To make the cocktail, add vodka, Sugar Free Peppermint Syrup (available from Amazon or Netrition), Sugar Free Chocolate Syrup (also available from Amazon or Netrition) and heavy cream to a snazzy cocktail shaker. Shake well! Drop a couple of ice cubes into the prepared glass and pour the cocktail over the top. Cheers! Mix the Swerve and red dye together on a plate. Add a little honey to a paper towel then wipe the rim of a cocktail glass. Dip the glass into the dyed sweetener. In a cocktail shaker, mix together the remaining ingredients. Add some ice cubes to the prepared glass and pour the shaken cocktail over the top of the ice. 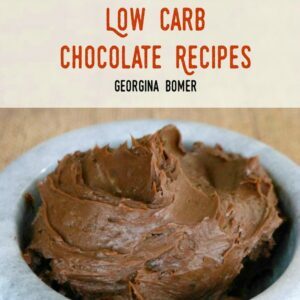 5.g net carbs per serving (includes 1 tsp Swerve for glass decoration. Honey not included as amounts are negligible). 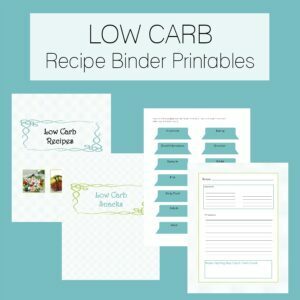 0.4g net carbs without the decorated rim. 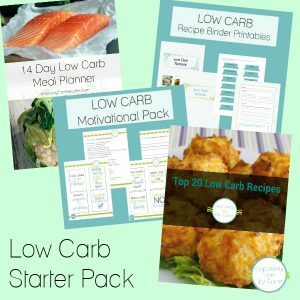 Make sure you’ve checked out my 35+ Low Carb Christmas Treats! Or, if you’re thinking of hosting a cocktail party, check out my handy guide!